We’re proud to support fans who create Guild Wars 2 content, and starting next week we’ll be opening the official Guild Wars 2 Twitch channel to creative geniuses all across the globe. With more livestreams happening every week, we want to make it as easy as possible for you to find your favorite shows, and so we’re also introducing our new streaming calendar! We’ll publish a blog post every Friday to list the following week’s programming, featuring short descriptions of the shows, their creators, and the language each will be presented in. You heard that right—we’ll feature shows in all of the supported game languages. After all, we have a truly global community. Check out next week’s schedule below! 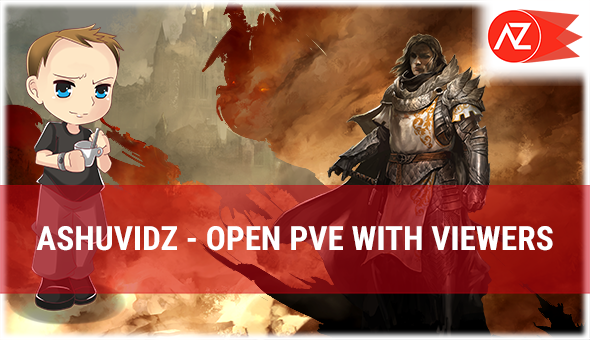 Join Ashuvidz in-game to master things you never thought you could achieve. Watch him stream, and play along! With over 140 episodes, the Guildnews podcast is one of the longest running Guild Wars 2–themed podcasts in existence—and now you can watch it on the official channel. Join host Rubi Bayer and developer guests Teddy Nguyen, Jason Reynolds, and Drew Cady to learn more about the third raid wing, Stronghold of the Faithful!